Blurb: Four strangers in the midst of difficult life transitions find friendship, purpose, and perfect pitch in in this heartfelt comic novel. In the small English village of St. Ambrose, the members of the Bridgeford Community Choir have little in common. But when their singing coach dies unexpectedly before a big contest, the motley group must join forces -- and voices -- in pursuit of an impossible-seeming goal. 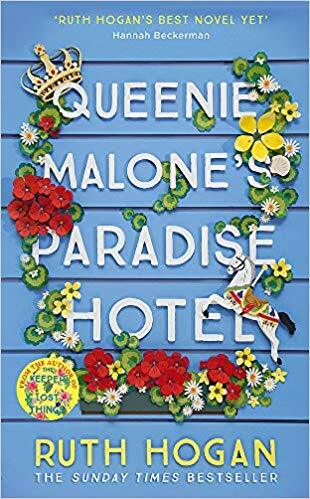 Featuring an eclectic cast of characters -- including a mother suffering from empty nest syndrome, a middle-aged man who has just lost his job and his family, and a 19-year-old waitress who dreams of reality TV stardom -- ALL TOGETHER NOW is a poignant and charming novel about small town life, community, falling in love, and the big rewards of making a small change. Review: All Together Now is a tale about how music can bring together a community, but also how it can brighten anyone’s life. And all this thanks to a community choir. I have to admit that being on a choir has always been something I would have loved to do but given that my music sense is non-existent and that I cannot tune when I sing even if my life depended on it… it’s a dream I had to give up a long time ago. So I found the idea for this book really interesting and amusing. At the beginning though, it took me a long while to really warm with the characters. They all had their problems at home and the choir was just an extension of these problems, with no organization, no new ideas and no charm at all. But as the story progressed and new characters were added to the story and to the choir, I started enjoying the story a lot more. I really liked that music played such a big role in the story. Gill always described all the songs they were doing on the choir but also added music on the routine lives of the choir members. I knew most of the songs and the ones I didn’t I checked online. This made me feel closer to the story. But the best bit of the story is definitely the last quarter. Here the story finally takes speed and everything happens at once. With a big finale, worthy of a musical I closed the last page of this book with a huge smile on my face. All in all, All Together now is a charming story about many different people who are brought together thanks to a hobby but end up bonding beyond it. A bit slow, especially at the beginning, but worth a reading. I enthusiastically recommend it to music lovers and choir aficionados. 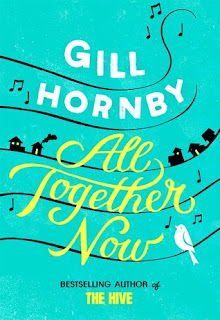 I have a hardback copy of All Together Now to give away to one lucky reader. This giveaways is open INT. Sounds perfect for me music small town choir. Dont think I would be very good in a choir as I cant sing! No, I have a BAD voice. My husband I have sung in many choirs together. Most recently, we sang with the community chorale. Such a fun way to be part of the community! My mum belongs to a rock choir and loves it. I love to sing but can't do so in tune so I don't belong to a choir.